Born: Ljubljana, 28 October 1939. Completed studies at Faculty of Law and practiced as an attorney from 1973 to retirement in 2005. Finished two years of studies at the Faculty of Sport. Married, father of three children with university education and families of their own. Wife Zdenka is a graduate in Law and has worked both as Director General of Public Prosecutors and Minister of Justice. Son Miroslav is a university professor of law, daughter Alenka is an attorney and daughter Vesna is an independent executive. He has six grandchildren. 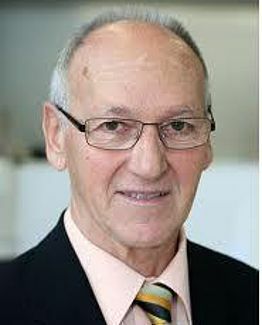 In 1998 he was appointed Ambassador of the Republic of Slovenia for Sport, Tolerance and Fair Play, he has served as President and founder of the Initiative Committee of the Olympic Committee of Slovenia (19 December 1991) and President of the National Committee for Awards in Sport (Stanko Bloudek Award). At 31 years of age, he won the final gold medal of his career at the World Gymnastics Championship in Ljubljana in 1970.